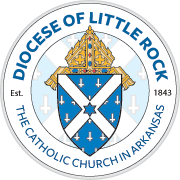 Explore this treasury of Arkansas writers discussing the Catholic faith on a wide variety of topics. Find what you're looking for by browsing the whole list or search by keyword or author. All articles have been reviewed for theological accuracy. Opinions expressed are those of the author. From the altar to the procession up the aisle, from the scriptural prayers of the liturgy to our belief in almighty God, we Catholics owe much to our Jewish brethren. From the beginning, the diaconate were called to serve those in need. As we will hear in next Sunday’s first reading from Acts (Chapter 6), the original call for deacons occurred in the early stages of the Church. We Catholics pray in every way imaginable. Our prayer lives are as diverse as we are. Our different personalities, abilities and limits make our prayer intensely personal. We pray in so many ways, too, because we are influenced by two millennia of rich spirituality and holiness. With the fall of the Roman Empire, Rome, the once mighty capitol faded, and the city of Constantinople ascended to become a great center of political and economic power. Eventually this political and economic divide would lead to a theological schism. Today, if you asked people, “What comes to mind when you hear the word ‘stigmata’?” you would probably receive a wide range of responses. A seemingly short time ago we celebrated the days of Christmas, and then quickly turned our attention from the child in the manger to the man in the desert for Lent. “One, holy, catholic, apostolic ...” We recite these words every Sunday during the profession of our faith. They are words describing certain inherent characteristics that “mark” the true Church. Dr. Linda Webster has a bachelor’s degree in theology from St. Gregory University in Shawnee, Okla.